March Meeting! Friday March 10th! 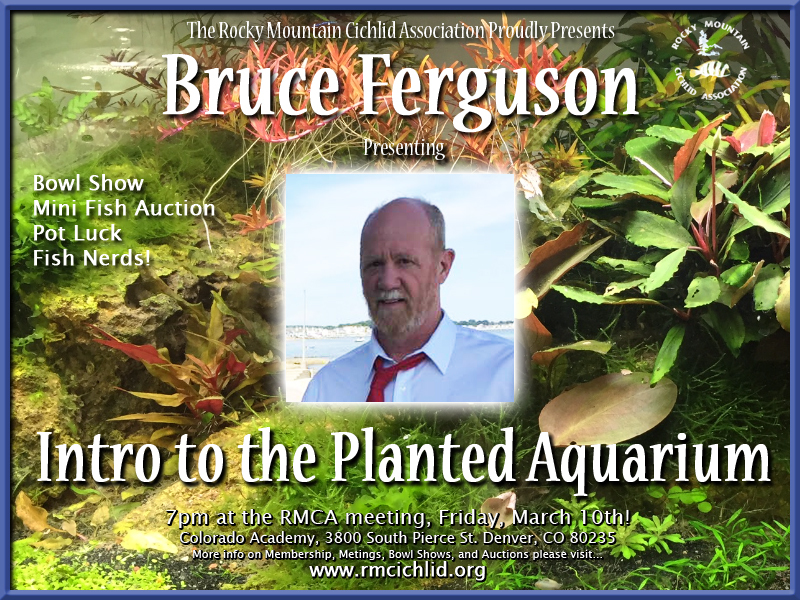 Bruce Ferguson will be doing a presentation on Planted Aquariums! We will also be having our usual Mini-Auction, featuring fish from Dave’s Rare Aquarium Fish! There will also be Pot Luck, so Bring some goodies to eat!